Clouds of stinging flies plagued the expedition across the last hour of travel. From time to time slimy waystones could be seen poking above the surface of the water. It was two hours until sunset, but they still had to make the return trip since to sleep in the swamp was impossible. They came at last to a place where an old, stone building stood on the side of a lake. The bottom third stood now beneath the surface and the front wall had tumbled into the mud and weeds. It was gloomy here, so as they searched for the oracle they lit torches and called out in loud voices. They offered coin, food and water, not sure what gift the oracle would accept. Ripples appeared in the centre of the water, then with a great sucking heave a vast mass arose from the lake. It was as dark as the mud, but with an emerald gleam to its warty skin. A weed-covered face like a great fish looked down upon them, it’s huge, pale eyes impassive. “You seek the oracle?” asked the beast. Tiss Morim was a monstrous demigod who was slain by an Apophian Soulless during the Mythic Epoch. It was reanimated by a powerful minorte to serve the ends of the minortes during the Age of Wars. The armoured bulk of its body and its capacity to survive without food or air made it the perfect champion. When the city of Catsebor (later called Ulanquin) was cursed, Tiss Morim was caught within the blighted swamps surrounding the city. Weakened and sick it slept for many decades. When the curse was finally lifted, Tiss Morim walked into the sea East of Gobal Palace and across the sea floor to the Six Castles. There it made a lair for itself in the deep swamp and established itself as a kind of Oracle. It seems unlikely than any one minorte could live for so long. Some conjecture than many individuals occupied the same host over the years. 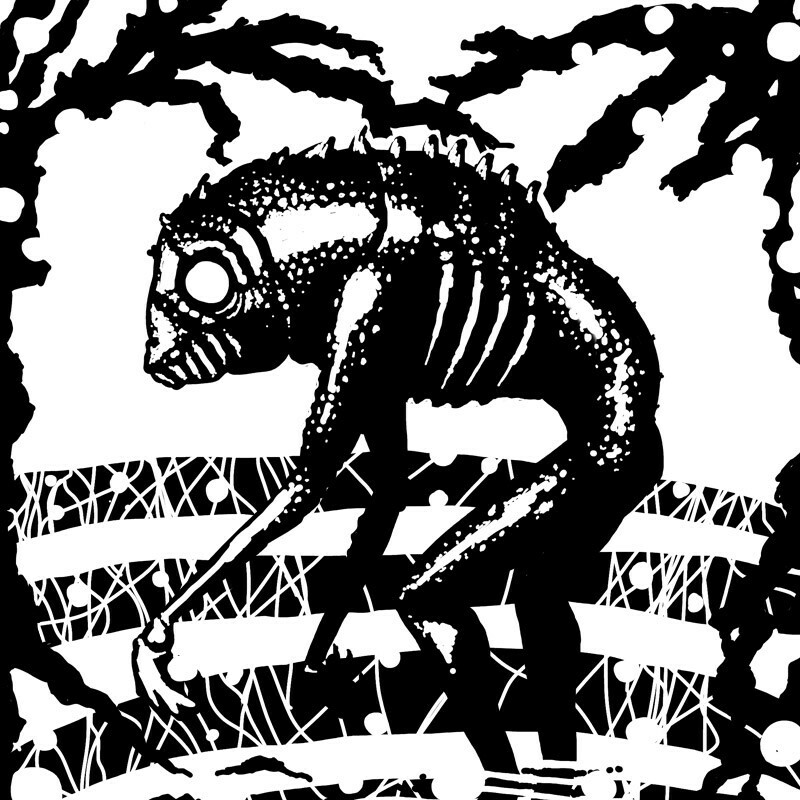 Others claim that the minorte has learned some life-sustaining secret, or that its host itself had this property. Tiss Morim fears no mortal weapon, but anyone who knows the nature of the minorte’s control could perhaps slay it if they were able to climb onto its back and reach the neck. If Tiss Morim is sought as an oracle it will provide guidance on most topics, but may lie or mislead if doing so suits its ends. In particular, the minortes favour war amongst their many host races and so will seek to encourage conflict where possible.